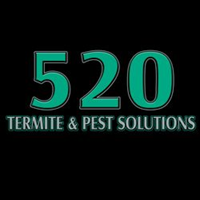 Serving Arizona since 1967, 520 Termite & Pest Solution has built a reputation for exceptionally high service standards, reliable products and techniques, and expertise in all elements of termite control. Our licensed technicians are involved in ongoing training programs to ensure that our customers receive not only excellent service, but also the latest and best technologies available for the identification and elimination of any termite problem. We are proud of our A+ rating with the Better Business Bureau, our excellent standing with the Arizona Office of Pest Management, and our Angie"s List Super Service Award. Mike was a very good representative of your company. He phoned ahead to confirm his arrival, he was thorough in his inspection, explaining what he was looking for. we had no problems, but felt we were in'good hands'. We were able to renew our subscription on site. We took the five year plan, comfortable that 520 Termite and Pest Solutions would look after us. Mike came out on time and did a thorough inspection. He was pleasant and professional. I've renewed my contract for another year. I would recommend! 520 is an excellent company to deal with. They answer their phone and they return my calls. Mike is very professional and Misty does excellent work as his secretary. I do highly recommend using there services! Great job from the beginning to the end. Office staff was professional and accomdating, staff that did the assessment was quick and professional, and staff doing the process was professional. The price was good and the warranty was very good. Would definitely recommend them. Dan was on time and did find evidence of Termites. He answered all of our questions. He did the necessary treatment. Your warrentee and preventative Care have been very effective. It was really a pleasure to work with Dan. Inspector arrived on time. Was quick and efficient and educated me on what to look for as he did the inspection. Great job and wonderful service by your onsite manager. Have been using service for several years and very satisfied with work. Service was great and tech was very thorough. Mr. Mike Saldivar is very professional and knowledgeable. Thanks for explaining everything to me, sincerely appreciated Mike! Richard spotted possible infestation and the cost was reasonable. Very quick service call. Richard was personable as well as a true professional. I would do business again with them. I have been with this company for many years and they have never been anything but professional. Tech came early within the window time which is nice. Inspected house carefully inside and out. I feel Action now 520 really does care about their customers. 520 got a co. that was already good. So glad you didn't change it. 520 was so easy to deal with!! Very professional and on time! No bugs anymore!! This is one of the best experiences with someone who has come to my home to provide a service. From the inital meeting with Mike to talk to me about the inspection and what they were going to be doing, to Daniel who came back to do the work. They answered all my questions without making me feel I was holding them up. This is what customer service should be. It used to be the norm but unfortunately it is now the exception. I would highly recommend this company to anyone. The inspector came a little early which was appreciated. He completed his inspection quickly. Seemed to know his field. I was impressed with the service. Very efficient and personal inspector. The technician was polite, on time, thorough and courteous. Happy with everyone that has come over the years. Great job , thank you. Good work and fair prices. We are pleased with the timeliness of service, friendly and competent staff. Highly professional and knowledgeable. Helpful and friendly. Straight answers to all questions. Mike did an excellent in telling me about the product they use and why.